Magnatone would come to be known for their unique amplifiers, notably for their "true vibrato" system, which actually changed the phase of the signal as opposed to just merely having a volume option, a sort of precursor to the stereo chorus sound. Legendary recordings by Lonnie Mack and Buddy Holly showcase the unique Magnatone vibrato, and the amps are highly revered by collectors today. In fact, most people think Magnatone only produced amps, but they did make several attempts at a guitar line from the mid 50's through the late 60's. 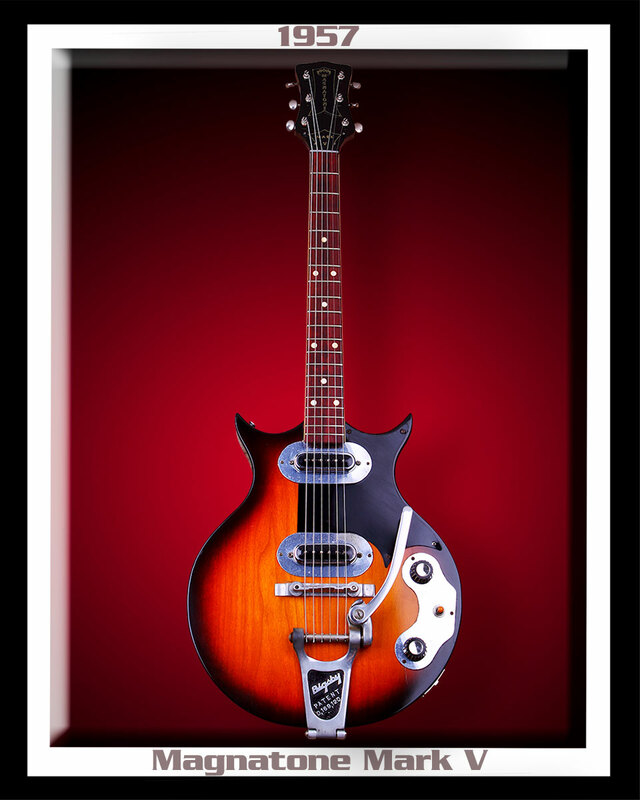 Today Magnatone guitars are quite rare and very sought after by guitar players & collectors world-wide. Not too many people have ever seen the 1950's Mark III, IV or V models.... but they were the coolest of all the Magnatone guitar models produced. The Mark series (Mark III thru Mark V) were produced in very small numbers from 1955 to 1958. 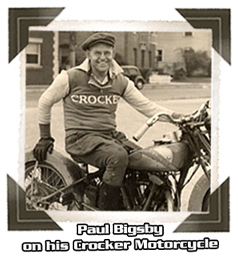 The top of the range was the Mark V, designed by the Legendary Paul Bigsby which featured his famous vibrato unit. 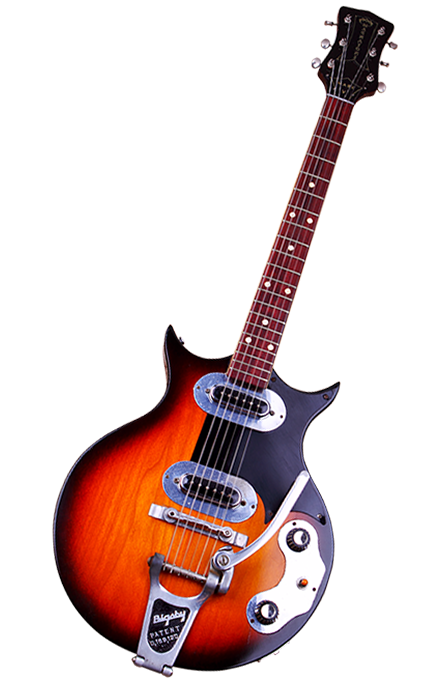 The Mark V, like its predecessors Mark III and IV, also had a semi-hollow body and a through neck. 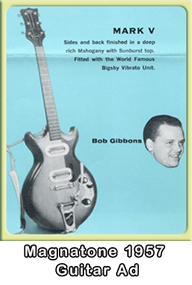 The Paul Bigsby redesign for the Mark IV and Mark V models sported two new Alnico VI pickups. Both guitars resembled the guitar Paul Bigsby made for Billy Byrd. But only the Mark V had both the Alnico PU's and that incredible Bigsby Vibrato!! The Mark V was simply the Best of the Best! !